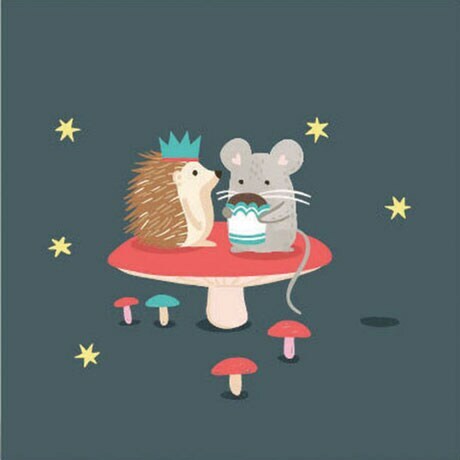 Bristling with dazzle and charm, our Nocturnal Birthday Party Card features an adorable hedgehog and mouse perched on a toadstool on the front. 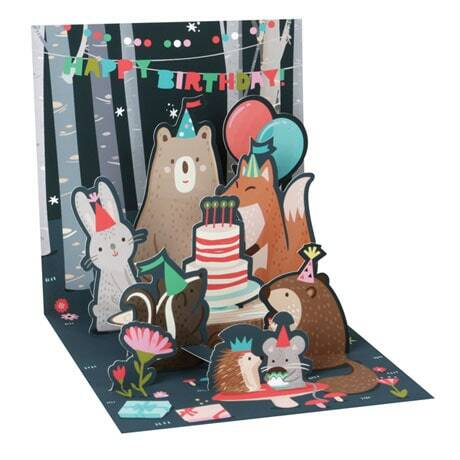 Open it up and a whole forest scene pops up: a skunk, fox, bear and other day-sleeping critters join the merry nighttime festivities. Best of all, at the press of a button, stars twinkle to life, adding sparkling magic to the woodsy scene. What a special birthday keepsake for a special party animal!